Commercial honeybees could be spreading a fatal disease to their wild counterparts who pollinate the world's flowers and crops, according to a new study. Recently published research in Nature shows that deformed wing virus (DWV), a disease shown to drastically shorten a bee's life-span, is not just causing colony collapse for honeybees, but also afflicting bumblebees as well. 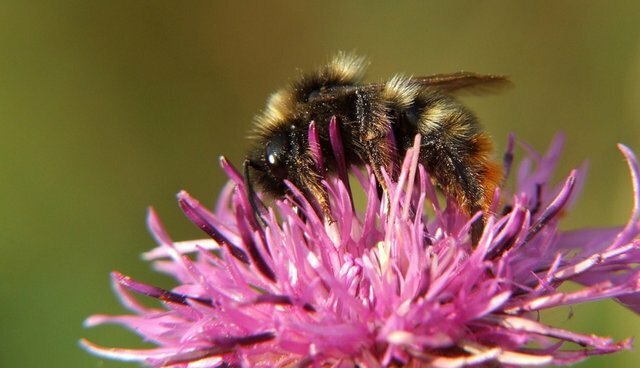 While researchers could not confirm the virus's path of transfer, they conclude that the disease is likely spreading from colonized populations to bumblebees. A Food and Agricultural Organisation (FAO) report says pollinators contribute to the yield of at least 70 percent of the major human food crops. The economic value of pollination services was estimated at 153 billion euros ($210 billion) in 2005. Bees, mainly bumblebees, account for some 80 percent of pollination by insects. "This is a real concern because they (bees) provide the ecosystem services of pollination without which we would lose a large proportion of our crops and also a large proportion of our natural biodiversity," Brown said.